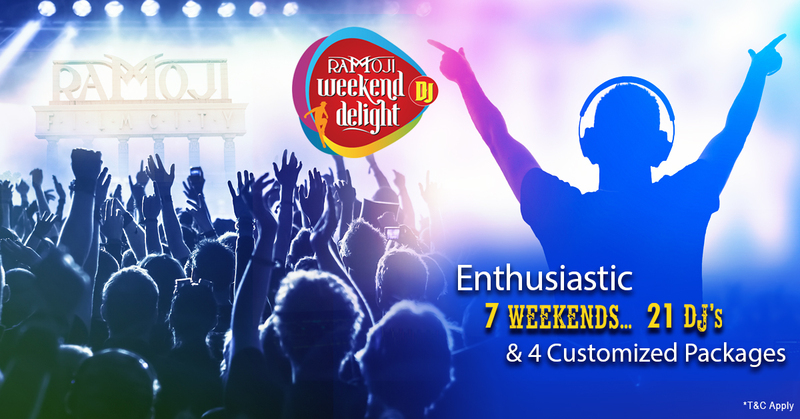 Come & experience great zeal & enthusiasm spiced up with festive spirits for upcoming Dussehra & Diwali celebrations! Quickly, book your Dussehra vacations with us! Avail great customized packages, tailored combining with the day tour of film city along with spectacular Diwali Celebrations. Your day at Ramoji Film City gives you the immense feel of a day spent at Filmi World! You would be certainly surprised with loads of fun & entertainment with a greater essence of cine-magic in the spectacular cinematic locales. Day at Ramoji Film City starts at 9:00AM with grandeur opening ceremony. 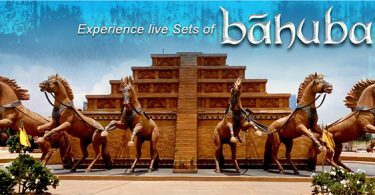 You will have a live experience of Bollywood & Hollywood with varied live shows such as Spirit of Ramoji Show, Fort Frontier Wild West Stunt Show, Dadajinn Live TV Show & Many More! Evenings are special & high on entertainment. Enjoy Punjabi Dhol, Bollywood Performances, Dandiya Raas, DJ Events & a stroll down the illuminated cinematic locales is a lifetime experience. Right away, book your tickets & head on to Ramoji Film City! 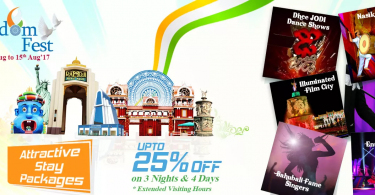 Make the most of your holidays @ Ramoji Film City for this 71st Independence Day! 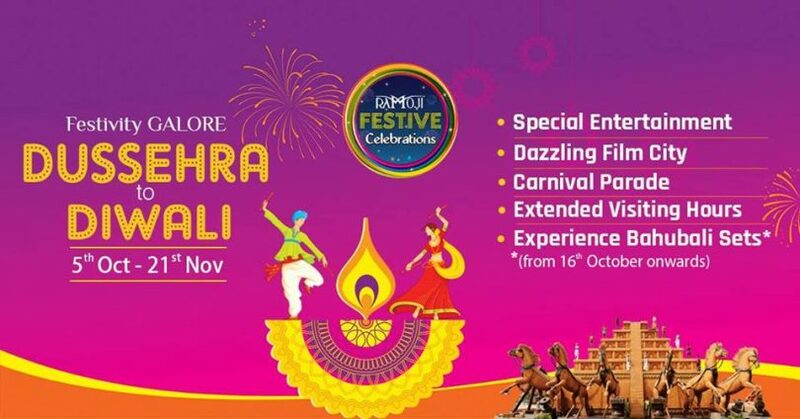 Make your experience Larger than the life at The World’s Largest Ramoji Film City!